First off sorry for the lack of posts recently, I've fallen so far behind on Alt Appreciation! I'm in the process of moving house so a lot of time has been spent decorating and doing other stupid grown up things. When it comes down to my alts Shaman's are among the rest with me having multiple of the class. I have a level 90 Draenei and a level (currently) 86 Goblin. I love both of them! 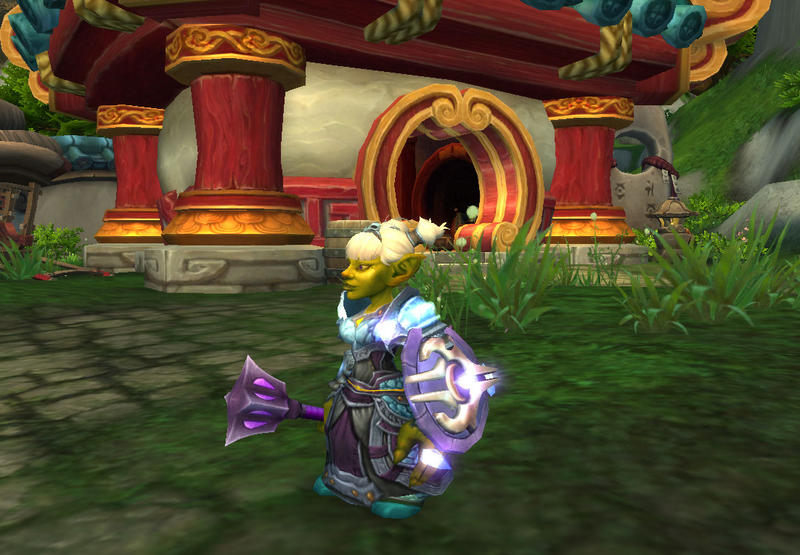 This week I've spent a bit of time playing my Goblin Shaman, getting her a new transmog, making a little bit of gold on the Auction house from leveling her professions. I hadn't logged into her since Cataclysm as I'd transferred my main character off of the server back then and if I'm honest I've missed her stupid face with her big nose and cute hair. I love the Shaman class and I was so glad when Alliance finally got the chance to play them with the introductin of The Burning Crusade. I really enjoy the healing style and the Elemental spec. I leveled my first Shaman as Enhancement and while I enjoyed it, once I got to max level and actually paid attention to what I was doing I realized I was really bad at it. I was always at the bottom of the meters. As I mentioned in my post during rogue week me and melee just aren't friends. I picked up an Elemental spec and I loved it! Firing lightening from my finger tips, what's not to love!? If instead of Enhancement Shamans had a tanking spec they'd be my perfect class. So cute. Wish than enhancement could tank too, I vaguely remember managing to "tank" as an enhancement shaman back in the Burning Crusade but I use the term loosely.